The marketing process in commercial real estate is quite specific and important if you want to reach out to the right targeted tenants or buyers in creating enquiry. At any given point in time there are plenty of listings on the market both in sales and leasing. The levels of competition can be high across competing brokerages, and property types. So the marketing process becomes critical to the inspection and negotiation process. Every quality listing needs to be specifically promoted with the right media channels, and the best advertising copy. That is one of the reasons that you should demand exclusivity in exchange for taking a listing. When you make the right marketing decisions you pull in better levels of enquiry. 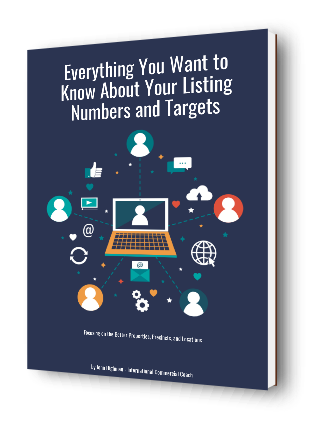 You will find that your listings are converting more telephone calls, inspections, and that can only lead to improved negotiation opportunity and frequency. You need to be a marketing expert in commercial real estate today; improve your promotional systems accordingly. It’s a skill that will reap multiple benefits over time. Some properties are poorly promoted with little consideration or specific marketing skill. Some listings have been on the market for a long time. Some clients are unrealistic when it comes to property value or rental. Some properties will have strengths and weaknesses to be understood prior to the start of the marketing process. Any property weakness with your listings should be addressed prior to the commencement of the marketing program. The first six weeks of any campaign are the most important for both momentum and enquiry optimization. A stale listing should be taken off the market for refreshing at a new time and with new circumstances. Every quality property needs to be promoted directly to the right people in the right way. You only have a very short period of time at the start of any campaign where the property can be promoted freshly into the market to attract inbound enquiry. If you like, the promotional process could be considered as an equation or specific strategy allowing improvement over time. As the local property agent, your job is to achieve that improvement process, whilst understand what works when it comes to the promotion of the property type in the location. Some marketing strategies create more enquiry than others. It is your job to understand what works, and for that system or strategy to be repeated over time. Effective marketing creates quality enquiry. That’s what the client is looking for and that’s what you need when it comes to generating property inspections and negotiations. Never underestimate the power of the marketing process. Develop your marketing skills and improve the process, the media channels, and the advertising skills accordingly. LOCAL FACTS: Understand the property location and precinct for both strengths and weaknesses. Why are people purchasing and or renting properties in the location? Can you build on the local momentum through the marketing of your property listing today? KEYWORDS: Choose the right keywords that apply to the location, property type, and property description. Avoid generic terminology where possible with your key words and promotional process. You can get plenty of new words in property marketing from the use of a thesaurus. HEADLINE: Choose the right headline that matches the chosen target market of tenants or buyers as the case may be. You can get plenty of ideas for property headlines from magazines, newspapers, and the Internet. Some phrases and headlines are far more engaging than others. Make the right choices and choose the right phrases. PROPERTY FEATURES: Establish a list of features that apply to the property in a realistic way. Look at the property from a buyer or tenancy perspective and choose the right features to attract property interest. What makes the property stand out? How can you pull in the interest of the target market? PHOTOGRAPHY: Get plenty of professional photographs taken to enhance all of your marketing efforts both online and offline. Photographs always enhance enquiry. As playing and basic as the property may be, you will find that professional photography will always lift the interest of the target market. CLIENT ENGAGEMENT: Get the client involved in the discussions around advertising and marketing. In the case of any exclusive listing, involve them in a marketing and promotional meeting where your choices of media, advertising copy, property features, and photography can be discussed and decided. Involved clients at the start of any campaign tend to make more rational decisions when it comes to the later stages of inspection and negotiation. BEST APPROACH: Understand what works when it comes to the method of sale or lease, the marketing methods to be adopted, the location, and the property type. The advertising process involves money, and the momentum at the start the campaign is something that you must optimise fully. So there are plenty of things that you can do here to establish your advertising and promotional checklist. Set the rules, and improve the checklist over time within the property type and within the location. Where ever possible, seek out vendor paid advertising as part of the property listing process. 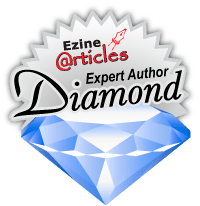 You can get more marketing tips in our eCourse right here.